Home > Target > Kellogg’s Special K Cereal | Seasonal Varieties 40¢ Per Box! 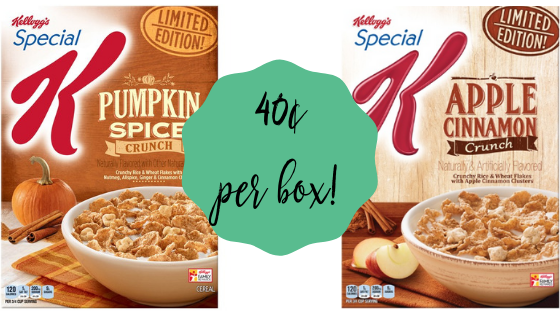 Kellogg’s Special K Cereal | Seasonal Varieties 40¢ Per Box! Get an awesome deal on Kellogg’s Special K cereal at Target this week with a gift card offer. Save even more when you pick up limited edition seasonal varieties and use a new Cartwheel coupon!